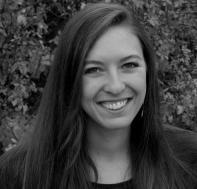 Jordan Durham is currently pursuing her MFA in poetry at the University of Idaho. Her poetry has appeared or is forthcoming in Phoebe and OVS Magazine. She works as editor in chief of Fugue. its bare-breasted need for touch—to recognize satiation. the unanswered, the brimmed, beyond your fill. no one in black waits upon some muscled steed. from sweetness, from the colors they dash across all those eyes.